BCAP has created a series of maps to provide a national snapshot of building energy code adoption and implementation status. 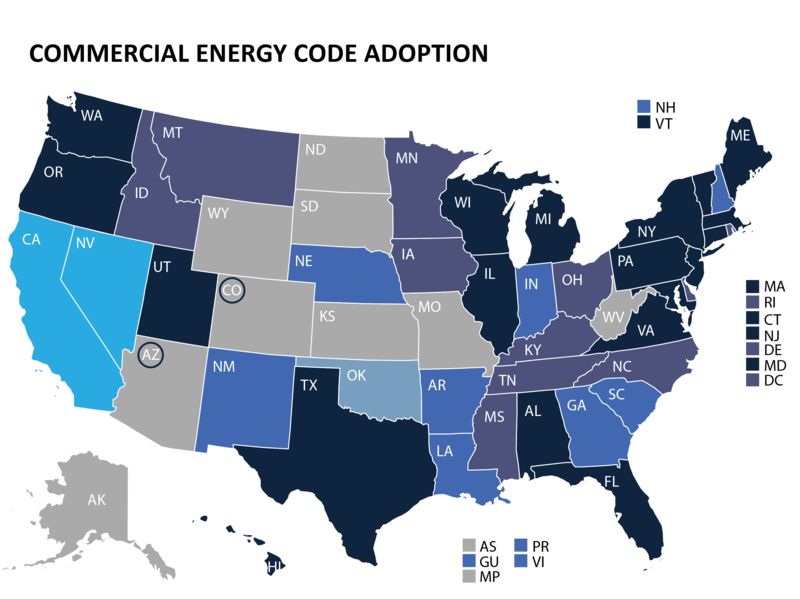 Click on a map to learn more about the status of energy codes in each state. States that have adopted a statewide commercial energy code that meets or exceeds an ASHRAE 90.1 standard. 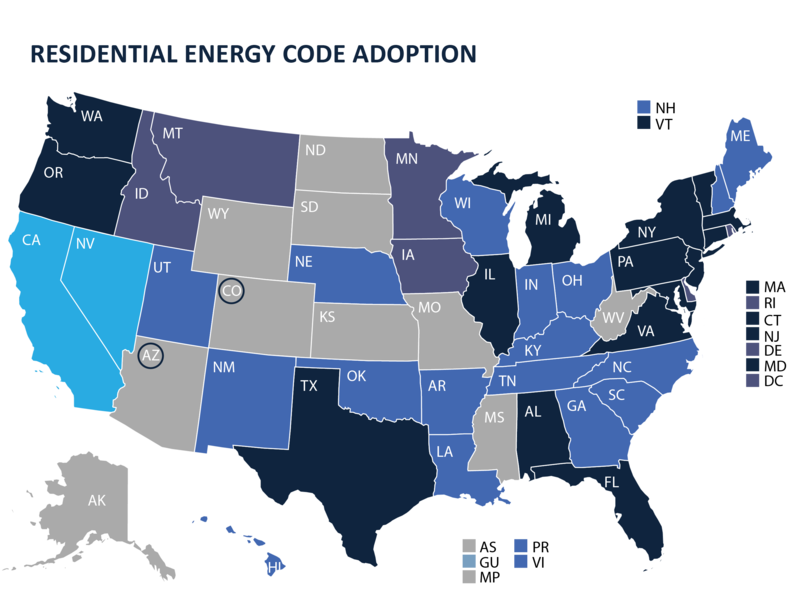 This map reflects only mandatory statewide commercial energy codes currently in effect. States that have adopted a statewide residential energy code that meets or exceeds an IECC model code. This map reflects only mandatory statewide residential energy codes currently in effect.